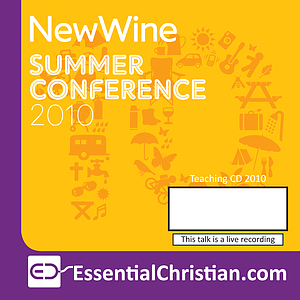 From Cheltenham to Kenya: being church together is a talk recorded at New Wine - 2010 on Practical Church Life available as CD format. Since a visit to Kenya in October 2008, organised and facilitated by Tearfund, Trinity Cheltenham has been partnering with the Diocese of Nakuru in Kenya. The Diocese has seen amazing results of holistic change in people's lives through a process of church and community mobilisation. This seminar will bring together the Bishop of Nakuru, the leader of Trinity and Tearfund to share how the partnership works, the change happening in the churches and how you could establish a similar connection. Be the first to review From Cheltenham to Kenya: being church together a talk from New Wine! Got a question? No problem! Just click here to ask us about From Cheltenham to Kenya: being church together a talk from New Wine.